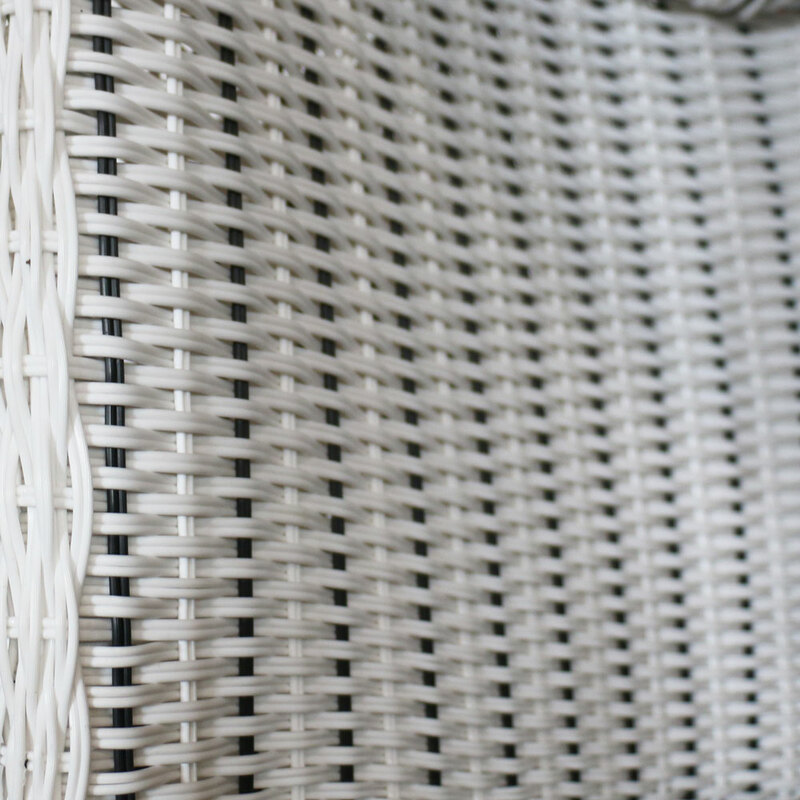 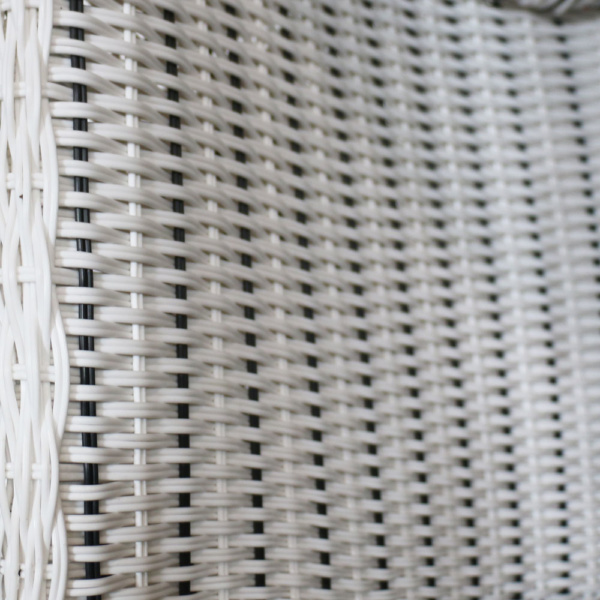 The Nautical Wicker Dining Chair is an excellent choice for any boat, yacht, ship or outdoor patio. This style was created for the marine industry because of the look, as well as the comfort and weight of these chairs. 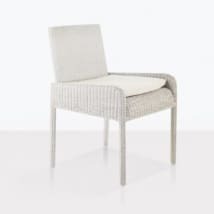 The Nautical dining arm chair is the perfect dining chair to use on the aft deck or in the main salon or your gorgeous outdoor space. Its made with Viro® outdoor fiber and the construction is powder-coated aluminum. 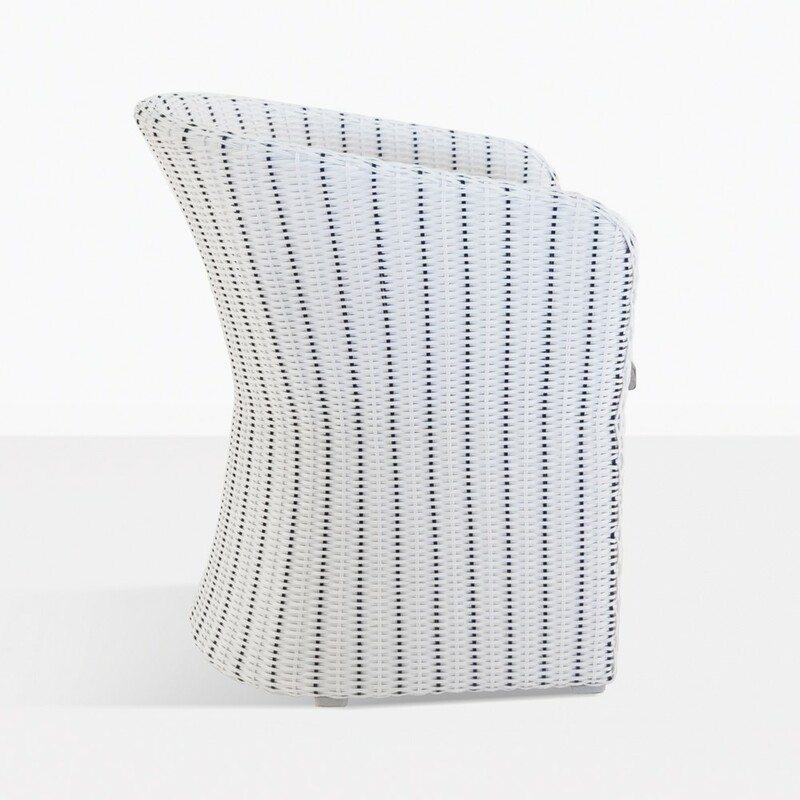 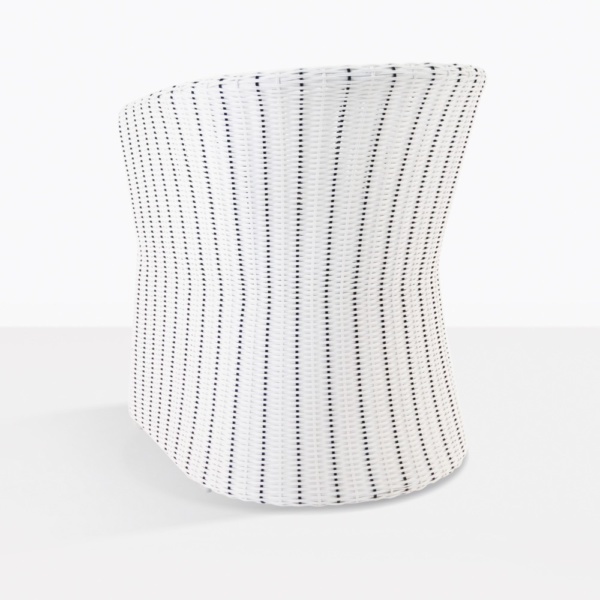 This chair features a unique black and white weave to give a subtle and interesting textured look. 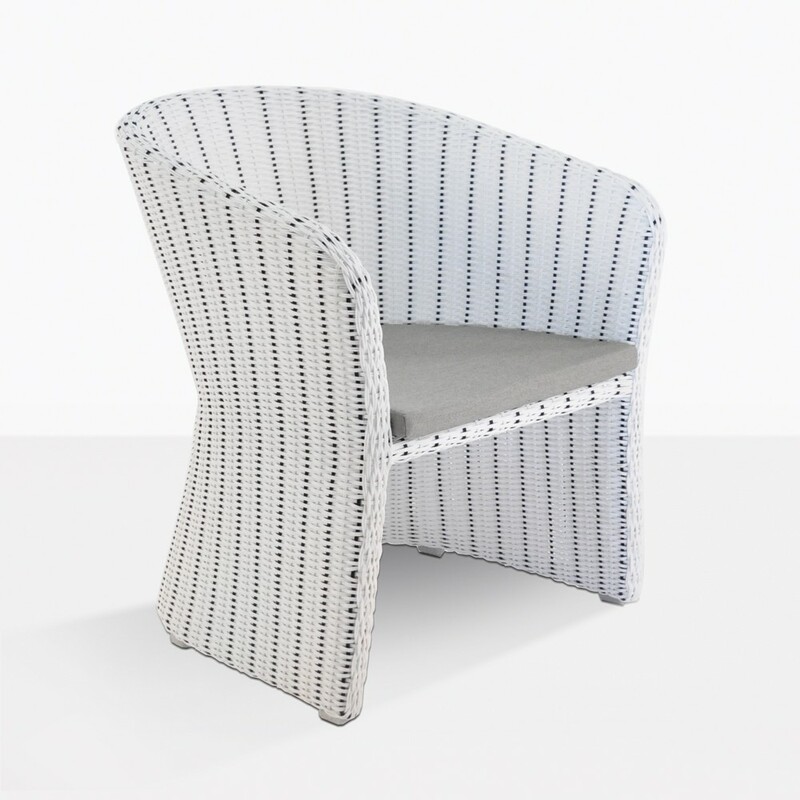 Pair this chair with any of our a-grade teak dining chairs for a truly nautical look. 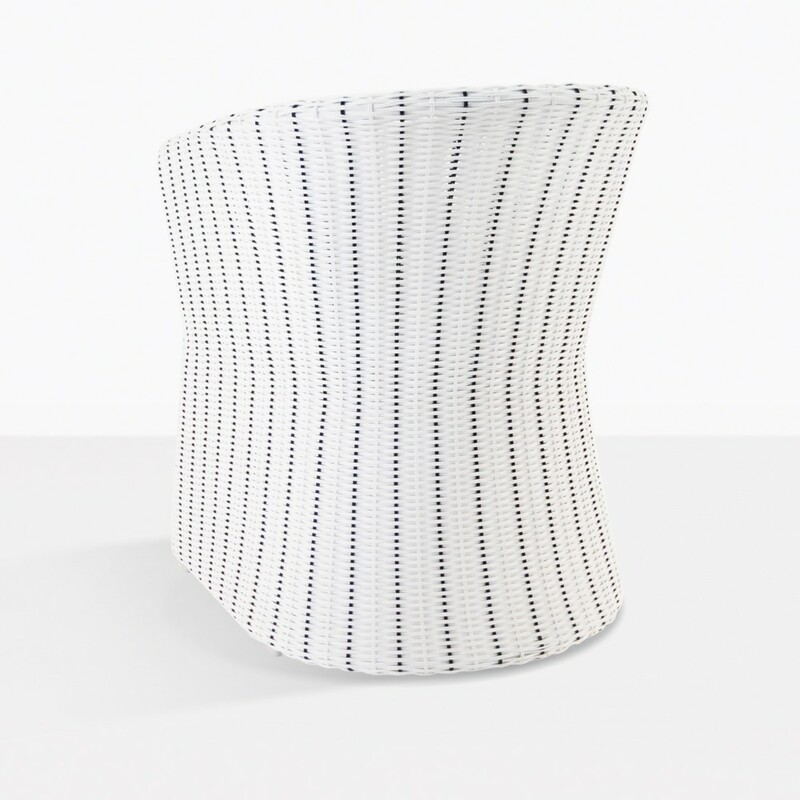 W24" x D26" x H32"